Lori-Anne Sharp is a registered nurse who has been nursing for over 22 years. The majority of her career has been in district nursing working for the Royal District Nursing Service (RDNS) across a variety of roles and sites. A decade ago she took up a role with the RDNS Homeless Persons Program (HPP), a specialised team of Community Health nurses who provide healthcare to people experiencing homelessness. Previously working as a Team Coordinator managing a team of nurses who deliver healthcare to some of the most vulnerable. 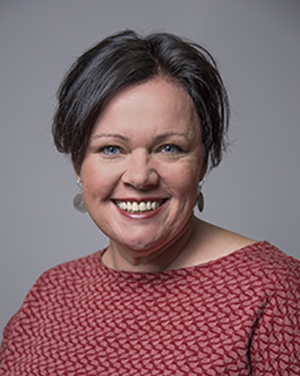 Lori-Anne became a more active member within the ANMF starting as a Job Representative in 2001 before joining the Victorian Branch Council in 2004 through to 2018. During this time Lori-Anne has held positions on Branch Executive, Branch Vice President and Federal Vice President. She became a pivotal cog in the union effort negotiating EBAs on behalf of members and supporting landmark policies such as nurse-to-patient ratios. Lori-Anne officially began her new post as ANMF Assistant Secretary in June 2018. Lori-Anne describes herself as a natural leader, approachable and able to connect people together. She is committed to the nursing profession and mobilising the nursing workforce. She says her promotion to Federal Assistant Secretary heralds a great opportunity to further her dedication to the union movement. Now an integral part of the ANMF’s Federal Executive, Lori-Anne says she hopes to bring people together and build on the union’s reach. “I’d like to empower all nurses to get active within their union, organise and support each other to speak out about injustices. Nurses should be encouraged to hold leadership roles within their workplaces and communities.” I am passionate about improving the lives of those who are most marginalised and vulnerable and am committed to empowering nurses and midwives to lead change.